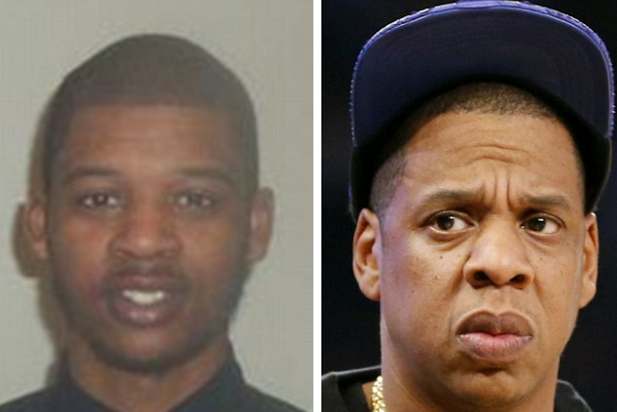 Home » HIP HOP » Jay-Z’s Alleged Love Child Is Taking Paternity Suit To Congress! (BlackMediaScoop) Jay Z’s alleged son, Rymir Satterthwaite, will reportedly speak to Congress about his headline-making paternity scandal. The FCLU (Family Civil Liberties Union) recently voiced support for Satterthwaite’s paternity case against Jay Z in order to bring national attention to the case. Now, Radar Online is reporting that the move worked, and Rymir’s next stop is the U.S. Capitol. Tentatively scheduled for April 29, Satterthwaite, 22, plans on discussing “corruption and other problems within the court system,” particularly as it relates to his case, according to the insider. Insiders say this new publicity could be the push that Satterthwaite’s family – including his godmother Lillie Collie and mother Wanda Satterthwaite – needs to resolve their case after several years. What do you think? Could Blue Ivy have a big brother?